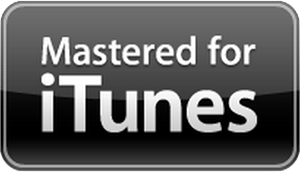 Apple has recently embarked on its Mastered For iTunes initiative and Loft Mastering is proud to be among their elite group of approved facilities. Working with Apple and incorporating specialist mastering tools into our workflow, we are able to ensure that the MFiT specification is strictly adhered to. These tools enable us to test and approve the MFiT encoding prior to sending your masters for final processing at Apple. Using their bespoke/flagship codec ‘AAC’, developed with the Fraunhofer Institute, iTunes offers incredible fidelity with low file sizes. We optimise your music for iTunes so that it sounds fantastic when encoded to Apple’s AAC format.